Pardot provides a marketing automation solution, and they are owned by Exact Target, who is also owned by Salesforce. All of these software systems act independently and have no plans for a tight integration. This means each piece of the puzzle will have to be purchased separately and integrated by someone (you), a problem that RICH CRM effectively solves with our Complete CRM and marketing automation solution. We all know that success hinges on more than just trust in the longevity of a software provider. You want to have the confidence that your marketing software can impact your top and bottom line. You want to have a deep understanding of your customers and leads, and you want to have it all accessible, right now. RICH CRM's email marketing platform has been around since the beginning. Our editor is stable and easy to use. Plus, our marketing automation tools integrate with just a click. Automating your online marketing efforts will save your business time and money. Customer relationship management, email marketing and eCommerce are a snap when you use RICH CRM - and are all included with every account. With RICH CRM, you don't need to invest in a third party CRM package. RICH CRM makes it quick and easy for you to automate your marketing efforts to convert leads, grow sales and save time. Saving you over 90% of Pardot's subscription rate, RICH CRM helps you set it and forget it. With RICH CRM, you get all of the features you need for one low monthly price. In addition to email marketing, your RICH CRM account includes project management, CRM, event management, website analytics and more. Don't put up with paying too much for software when you don't have to! That's not a typo up there - Pardot really is that expensive, and don't forget you need to pay for your CRM on top of it. And you don't have to just believe us - take a look at this independent comparison, powered by ombud.com. 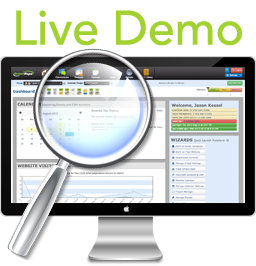 Sign up for a trial account and see for yourself how RICH CRM can help your business!